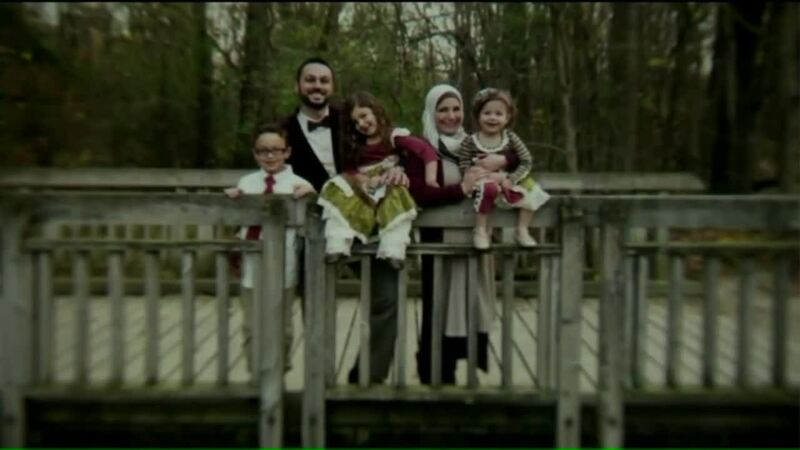 WGN -- A Muslim family is requesting a formal apology from United Airlines after being removed from a flight at Chicago O'Hare International Airport last month. After a discussion with a flight attendant about how to secure a child booster seat, United employees said the family needed to leave the plane because of "a safety of flight issue," according to a YouTube video posted by the mother, Eaman- Amy Saad Shebley. "We are tired of Muslim-looking passengers being removed from flights for the flimsiest reasons, under a cryptic claim of 'security'," said Ahmed Rehab of the the Council on American-Islamic Relations (CAIR), which is representing the family. United said it was all about the booster seat. "They were originally scheduled to fly on SkyWest 5811, operating as United Express from Chicago O'Hare to Washington, D.C., but we rebooked them on a later flight because of concerns about their child's safety seat, which did not comply with federal safety regulations," United said in a formal statement. "Both United and SkyWest hold our employees to the highest standards of professionalism and have zero tolerance for discrimination." The parents and three children from the Chicago area were flying out on spring break March 20 when they asked a flight attendant for an additional strap to secure their youngest child's booster seat, Rehab said. They'd tried to check the seat at the gate but the gate agent told them to carry it on board because the computer system was down, Rehab said. The attendant told them not to use the booster seat and they complied, Rehab said. The family was asked to show their tickets and told they needed to leave the flight, Rehab said. The father asked for a reason and a man who appeared to be a pilot told him, "Because it's my decision," the video showed. The mother, who was wearing a headscarf, asked, "Is this a discriminatory decision? What is the reason?" the video showed. "Because it is a safety of flight issue," the man said, according to the video. The family got off the plane and took another flight to avoid frightening their children, Rehab said. "I felt singled-out, humiliated and helpless," the mother said in a statement released by CAIR. "This family did nothing to earn the flight crew's scorn, other than trying to understand how they can best secure their baby," Rehab said.